All these new features, except for the file preview, are available both for the Mac and the Windows version. Worksheet Crafter 2019.1 now comes with better support for high resolution displays. This covers both modern notebooks and external 4K displays. In both cases the upper toolbar is now larger and thus easier to access. Further more various dialogs and icons have been adjusted to work better on these displays. 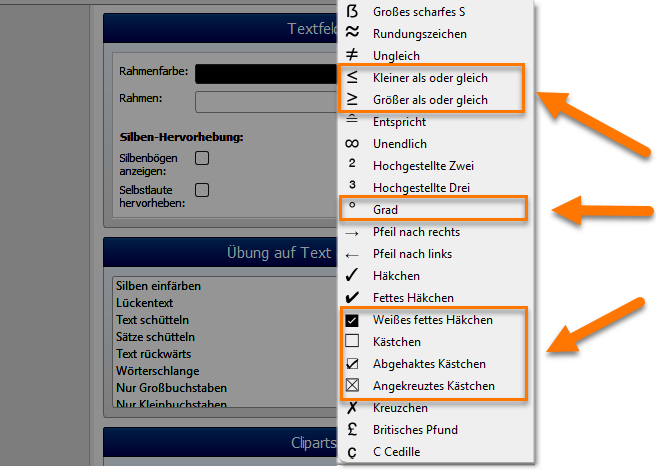 When undoing or redoing font size changes, the text table could previously enlarge columns unnecessarily. This has been fixed in the new version. Worksheet Crafter now makes sure that you can’t accidentally paste tables inside tables. The print preview now provides a closer match the final print. Both the spellchecker warning lines and invisible layout lines are now hidden in the print preview. We improved the usability of the equation editor by adding a finer undo/redo support to the editor. Additionally, when selecting a formula from a drop down menu it will now not replace the existing formula anymore, but extend it. This way you can’t accidentally override your formula. The new Worksheet Crafter now properly detects if a template file is corrupted and warns you about this. When loading worksheets with a zero file size, the new version now correctly detects this and shows you a warning. Exporting PDF file can not override existing worksheet files anymore, even if you accidentally chose a worksheet file as target for the PDF export. Worksheet Crafter now assume that you accidentally chose the worksheet file as target and saves the PDF file separately. When using handwriting in combination with justified text alignment, the letters can’t get truncated at the right border of the text item anymore. If you already own the Basic or Premium Edition then you will get the new version for free, as part of your annual license. If you own the Unlimited Edition then you may purchase the new version for a reduced price. In any case you should receive an email with more information from us in the next few hours. If you don’t get this email then please contact us. I hope that you like the new version! I am looking forward to your comments.